We conclude the week here at SuperPhillip Central with a new segment to the site. It's entitled "Best Levels in Gaming History", and as you may guess it celebrates my favorite levels in video games past, present, and future. Tonight we have five levels from five games that I personally enjoy whether they give me great nostalgia, are fun to play, or are simply aesthetically pleasing. A special thanks to GameTrailers.com for the idea for this new series. 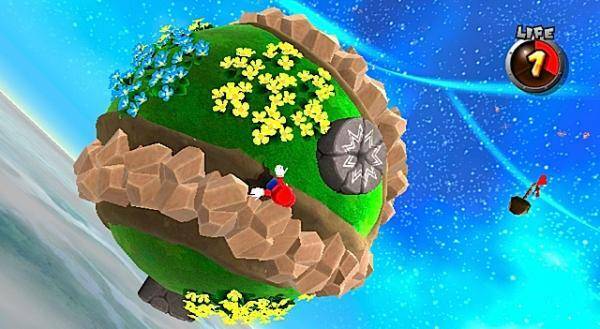 Mario leads us off with our journey through excellent level design. This colorful and whimsical galaxy is home to Goombas and moles alike. We start off with a waggle of the Wii remote to ride on a dandelion, flying us to the next planetoid. On the underside of the second planetoid is a hidden warp pipe. That takes Mario into a secret area where grabbing the giant coin reveals a rainbow star power-up. Use this to take out all of the spiky plants to collect globs of star bits. The second set of dandelion puffs will send you to the dot of a question mark-shaped planet. To proceed all Mario needs to do is take out the moles by pounding the ground near the mole to have him surface. Using the warp star, you're taken to a set of apple planets where ground pounding the stump on them will reveal caterpillars to get across. The final stomp will uncover the warp star to the penultimate planetoid which houses a super mushroom. One last warp star shines the way to the battle with Major Burrows. A fairy tale-like galaxy, Gusty Garden's Major Burrow mission is one to cherish when playing the excellence that is Super Mario Galaxy. 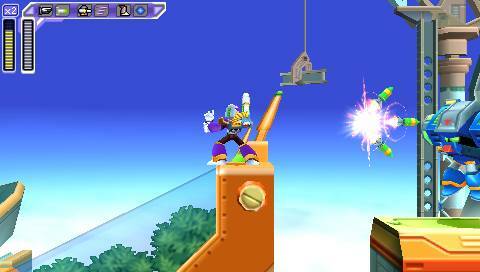 Storm Eagle's level took place on an airport, starting with a vertical climb over a bottomless pit. Scrolling platforms took Mega Man X to new heights while he avoided Mavericks that wanted nothing more than to grab him and drop him into the pit below. From the very top of these platforms, X could leap off from the left and reach a heart tank that hangs over the starting point of the level. A sub-tank (one of four in the game that refills X's health) could be found by hopping on a handful of platforms, shooting out the glass from inside a control tower, and taking out a Maverick gunner from behind. After this players set out to carefully jump across rising and lowering platforms, some of which were occupied by an enemy flamethrower. 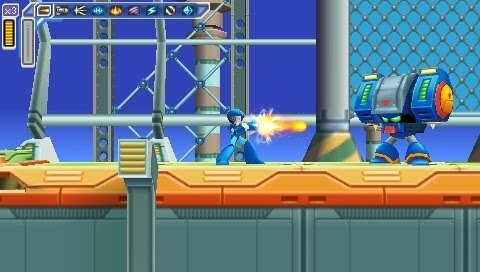 One false jump would mean death for X as there was no safety net for Mega Man to fall down to. There was but a bottomless pit. More enemies that grabbed and pulled X would follow, but not before a hidden alcove where one of Dr. Light's secret capsules containing the headbutt ability would be housed. A dash off the wall would make reaching this special item a breeze. Once the headbutt attack was learned, X could proceed through the level, eventually reaching platforms that would fall a second after X stood on them. This led him to the final portion of the level, the enemy ship and Storm Eagle himself. An entertaining and exhilarating level, Storm Eagle's stage is one of the X series' best. There were two paths to the planet Venom. The first was through taking the easy route through Bolse while the other had you staring down the massive armada of Andross' ships in Area 6, one of the most difficult levels in the game. You begin by taking down some stray enemy ships before immediately entering a minefield. These mines can be eliminated through competent use of smart bombs. After a bunch of spinning ships and fighters, you come across some larger-scale ships that shoot out homing missiles at Fox and his crew. Once a couple of these ships are shot down or evaded, Fox and team are marked by five separate enemy missiles. If these aren't removed from airspace, the whole Star Fox team will take substantial damage which is not good for the upcoming battles. After this task is completed, a bunch of homing torpedoes will have a lock on Peppy. Carefully shooting these away while avoiding hitting Peppy will allow the heralded hare to give thanks for your slick shooting. Fast-moving enemies then pop in with the goal of wiping out Fox with their swift movements and fast-firing. Butterfly-like enemies will follow, shooting out circular laser beams at Fox McCloud's ship. These will continue to spawn until after Fox crosses the checkpoint. More enemies and large ships with the intent of stalling Team Star Fox impede on their progress, but it's all for naught. They can be shot down for huge points. "They're through the second line!" followed by "Dang it! Deploy it now!" are then heard all culminating with an intense boss battle against a giant disc with tentacles. Area 6 is a high-octane ride perfect for this list. It features plenty of epic space shootouts, enemies to take out, and multiple points to rack up kills. Welcome to the future of Chicago. The aim of the game here is to enter the G5 building. 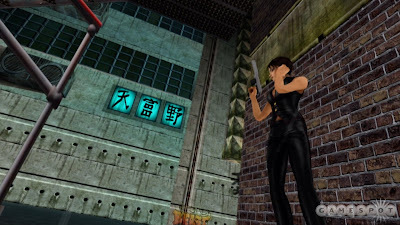 Much like GoldenEye, the beauty of the design of missions is that depending on the difficulty you choose, you'll have more objectives assigned to you. Agents merely have three objectives to take care of whereas Perfect Agents need to complete all five objectives. From the beginning Joanna Dark will have nothing but her fists to assist her. This changes when an unbeknownst guard has his back turned to Ms. Dark. Joanna has a myriad of missions to take care of in Perfect Agent from attaching a tracer to a limousine while avoiding the blasts of a patrolling robot to setting up an escape route by tossing a remote mine on a wall of a fire escape. The contained area of the level of Chicago is full of goodies to discover. The optional nightclub may have guards inside it, but it's the only place you'll find one of the hidden pieces of cheese left smoldering inside a restroom toilet. With the awesome ambiance and variety of objectives to pull off, Chicago is my kind of town. Also used as a retro-revived track in Mario Kart Wii, Bowser's Castle was rated the number Mario Kart track on a top ten posted many moons ago on this very blog. What's not to love about this themed track? It begins with a straightaway across a rail-less bridge where light characters can easily be knocked off. What follows is one ninety-degree curve leading into a hall full of Thowmps randomly smashing into the ground. A left turn and a semi-swift right turn reveals even more Thwomps, this time with the intent of zeroing in on your position and stomping you flat. Timing is everything to get through the end of this hall as three Thwomps stomp at different times and durations. A right turn gives way to a hallway filled with item boxes followed by another right into, you guessed it, more Thwomps. This time they are sliding horizontally across the floor in an attempt to impede your progress. Another sharp ninety-degree turn leads to a narrow bridge where getting bumped off into the lava costs precious time. 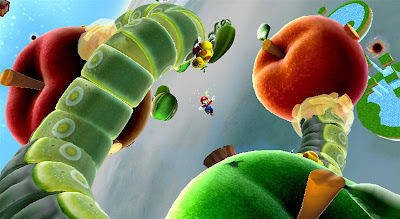 Going right from here leads the player down a stairway into the courtyard where a U-turn shows off some greenery in Bowser's otherwise barren castle. After passing through the courtyard, you go across the final of three bridges, up a spiral tower, making two jumps over lava, and winding up back to the beginning of the track in glorious and heated style. 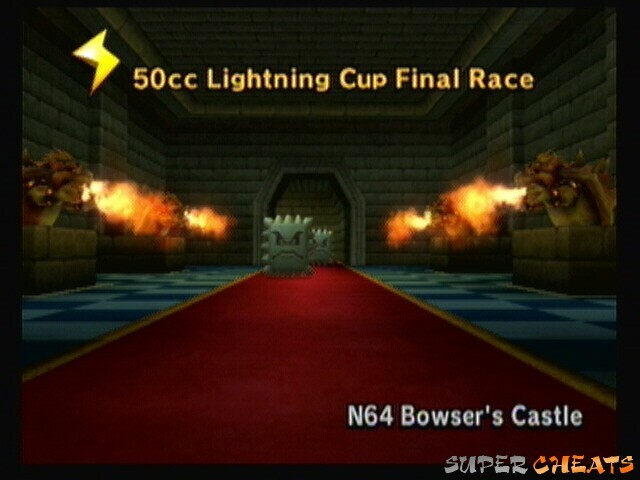 No race is constructed as brilliantly as Bowser's Castle, and they always seem to be my favorite courses in a Mario Kart game. That's not the last you'll hear from Best Levels in Gaming History. I've more volumes in store for you. For now I hope your appetite for this new segment has been whetted. What are some of your favorite levels in games? Give me a heads up in the comments section. I think my favorite Mario Galaxy world would have to be Freezeflame Galaxy. There was something enjoyably spooky about it.